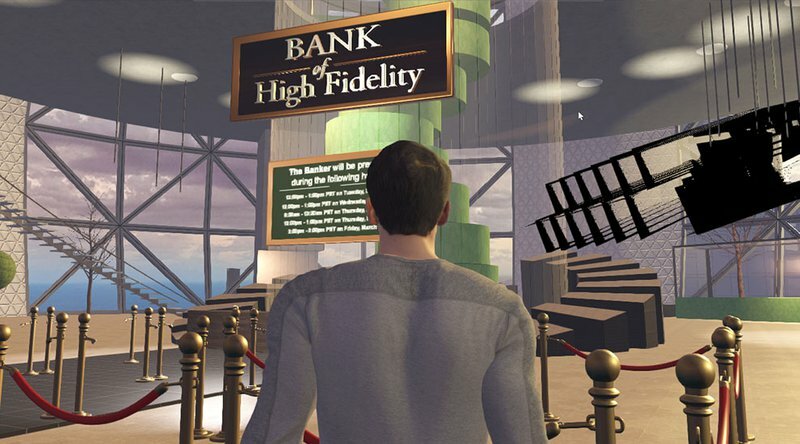 After an email exchange with support staff I am waiting to get my first HFC at the in-world bank, as soon as I can go there during opening hours (which, I must say, is not easy for European users who sleep at normal hours). I love that HFC is meant to be a stable cryptocurrency: I think there has been too much emphasis on cryptocurrencies as “digital gold” for speculators, and not enough on cryptocurrencies as “digital cash” for users. I also enjoyed Philip’s recent interview with New World Notes. How to copy the private key from a computer to another? Is HFC already traded on cryptocurrency exchanges against fiat or other cryptos? If not, when is this expected to happen and which exchanges are likely to be the first? What central monetary policies are in place (or expected) to protect the stability of HFC? I have been seen some posts about linking HFC to an ERC20 token, which could enable smart contracts. How is that expected to work? Thanks Mold. So to use the same wallet with the same userid on another computer, I should just copy the hifikey file to the appropriate place on the second computer, then log in? yes that is how it works. Q: How to copy the private key from a computer to another? A: Just copy the file username.hifikey file to the other computer, and login. Your balance and purchases will appear. The key file contains the private key to an address on the HFC blockchain which is used to generate sequential addresses used for balances and other assets. This is similar to other blockchains - you store your own keys locally. Q: Is HFC already traded on cryptocurrency exchanges against fiat or other cryptos? If not, when is this expected to happen and which exchanges are likely to be the first? A: Not yet but soon. It’s important to note that HFC is designed to have a stable value for trade (as described below) so it is different from other crytocurrency exchanges in that it doesn’t make sense to hold it for the expectation of future gains. We will probably start by establishing simple ways to exchange HFC for the larger cryptocurrencies like ETH or BTC so that people can start making money from their content creations. Q: What central monetary policies are in place (or expected) to protect the stability of HFC? A: We are working on an algorithmic strategy to increase the money supply automatically as usage of HFC increases, probably using an oracle monitoring the exchange rate. Again, the goal is price stability, not speculation. Q: I have been seen some posts about linking HFC to an ERC20 token, which could enable smart contracts. How is that expected to work? A: Where it is useful, we will build bridges between our HFC blockchain and other blockchains. Probably the most obvious example would be bridges to the Ethereum blockchain, so that people could choose to move currency or asset information there for trade. We are also excited about other upcoming blockchains, such as EOS, that may offer the high transaction rates and low fees that caused us to ‘roll our own’ with HFC for now. Thanks for the explanations Philip! I saw it! Great article! Hi Philip, I am reopening this thread to find out if there are news on the possibility to buy/sell HFC via external exchanges. The HF Bank opening hours are really unsuitable for European users, and I think there should be more flexible options. Please see also DM. Hi Giulio - thank you for your feedback. We’ve recently expanded our open banking hours. To trade HFC, please make a private bank appointment here. You can now also purchase HFC with Ethereum - check out the blog post here for more info.